Bitcoin mining giant and blockchain tech provider Bitfury is branching out to Norway. After meeting with government officials and partnering with local business leaders, the company is opening the doors of its new energy-efficient, data-mining center, in which executives have already invested $35 million. The center is stationed in the Mo Industrial Park in the town of Mo i Rana and is expected to create roughly 30 new jobs for local workers. Bitcoin and cryptocurrency mining have long been criticized for allegedly requiring large amounts of power. Cities like Plattsburgh, New York — once popular among bitcoin miners for the low-cost electricity they provide — have already enforced temporary bans or “moratoriums” due to the growing difficulties of satisfying miners’ needs. With energy consumption being a major concern, Bitfury mentioned that the data center boasts a power usage effectiveness (PUE) level of 1.05 or lower, and thus stands as one of the “world’s most energy-efficient” operations. Recently, Bitfury purchased approximately 350 gigawatts of power from local renewable energy provider Helgeland Kraft. The company further explained that it ensured renewability in all its energy sources, as it had acquired “Guarantee of Origin” certificates from its nearby suppliers. Guarantee of Origin is a product of European legislation designed to “document and report” all energy claiming to come from renewable sources. The process works to educate customers about where their energy originates, thus potentially reducing harmful greenhouse gas emissions and improving overall sustainability. 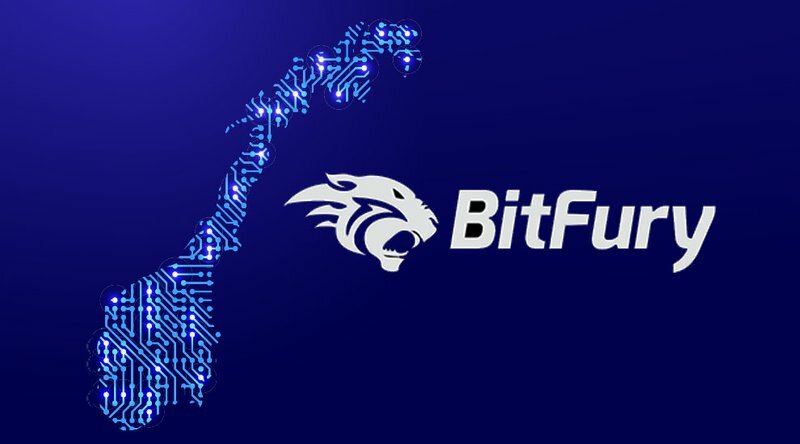 Bitfury also has offices in the United States, the United Kingdom, South Korea, Hong Kong, Ukraine and Japan. In early March 2018, Bitfury opened its seventh office in Russia, which it said would focus on selling its two primary products. The first is “Exonum” and is described as an “open source enterprise-grade blockchain framework” created to allow both businesses and individuals alike to build blockchain networks that solve “administrative” issues. The second product, simply known as “Crystal,” was released in early January 2018 and is a tool designed to assist law enforcement officials in financial investigations.